The first breed of poultry to bear this name was first exhibited at America’s first poultry show, held at Boston, Massachusetts in 1849. It is believed that these original fowls lost their identity and that the progenitors of our present Barred Plymouth Rocks were first exhibited at Worcester, Massachusetts in 1869. These were composites of several blood lines. The first and most prominent cross was that of a Dominique male with Black Cochin or Black Java females, which was originally made at Putnam, Connecticut. The Dominique male used was not the American or Rose Comb Dominique male which became a Standard breed in 1874, but a single combed, hawk-coloured fowl commonly found in that locality. This Plymouth Rock was recognized as a distinct breed and was admitted to the first American Standard of Excellence, published at Buffalo, New York, January 15, 1874. Whether the Plymouth Rock originated from a Dominique-Black Cochin or from a Dominique-Black Java cross was for a time a much mooted question. The fact that “Black Cochin” or “Black Java” has been used synonymously in show classifications before the first poultry standard was made in 1873 may have led to confusing the Java with the Cochin. White Plymouth Rocks were admitted to the American Standard in 1888. 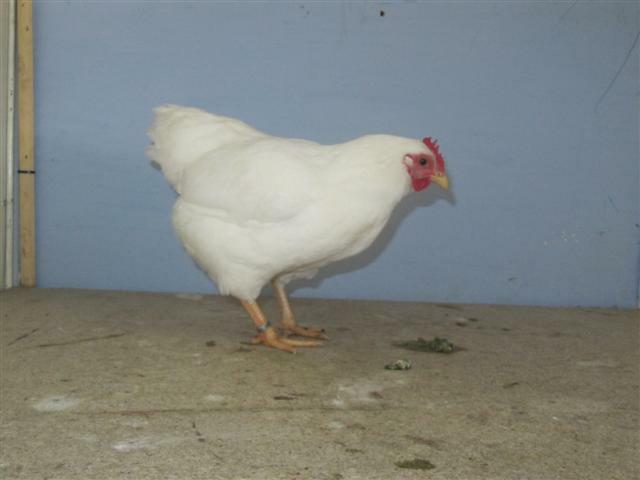 Some were white sports of the Barred variety, other strains trace their ancestry to other white fowls. Buff Plymouth Rocks became a Standard variety in 1892. The earliest strains originated in Rhode Island, not far from Fall River, Massachusetts, and were first exhibited as Golden Buffs. Buff Cochin blood was introduced in some strains in New York State. Silver Pencilled Plymouth Rocks originated in the State of New York in 1894 and admitted to the American Standard in 1907. Dark Brahma and Silver Pencilled Wyandotte blood was used to produce this variety. Partridge Plymouth Rocks became a Standard variety in 1909. Partridge Cochin, Dark Cornish, Single comb Golden Wyandotte male, Brown Leghorns, Golden Laced Wyandottes and Barred Plymouth Rocks were amalgamated to form the new variety. Columbian Plymouth Rocks originated in Ohio in 1902, as the result of crosses between Light Brahmas, Barred Plymouth Rocks, White Plymouth Rocks and Columbian Wyandottes. They were admitted to the American Standard in 1910. Blue Plymouth Rocks were admitted to the American Standard at Kansas City, Missouri in 1920.